Valentina Jazz Band are an incredible, unique Anglo-Italian jazz band who perform an intoxicating mix of jazz standards, upbeat swing, traditional Italian songs, gypsy-jazz, foot-tapping rock'n'roll, samba, bossa nova and Latin music, all with a modern twist. Bellissimo! 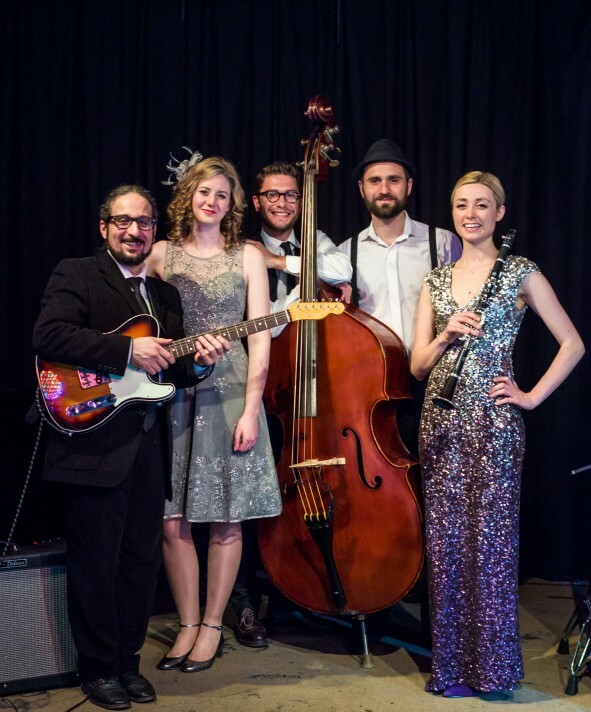 Made up of supremely accomplished jazz musicians and featuring gorgeous vocals, Valentina Jazz Band are the perfect choice to bring a lively Latin atmosphere to your wedding, party or corporate event. 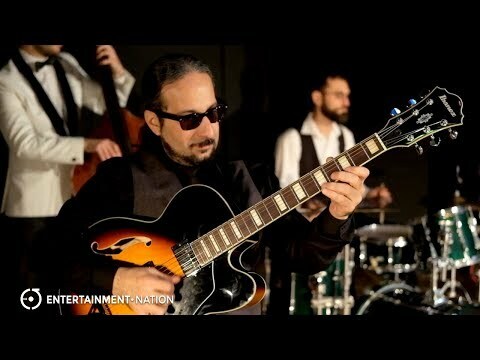 Valentina Jazz Band's sublime sound will transport you and your guests to the sun-drenched avenues of Florence and Rome, even if the British weather intervenes! Valentina Jazz Band have toured extensively throughout the UK and Europe, with highlights including Festival Italia at Brands Hatch, The Italian Awards, an exclusive event at La Cervara in Portofino and appearances at venues such as the Beaumont Estate Hotel, Jumeirah Carlton Tower and St Pancras Renaissance Hotel. The band supply high-quality PA, suitable for up to 150 people. 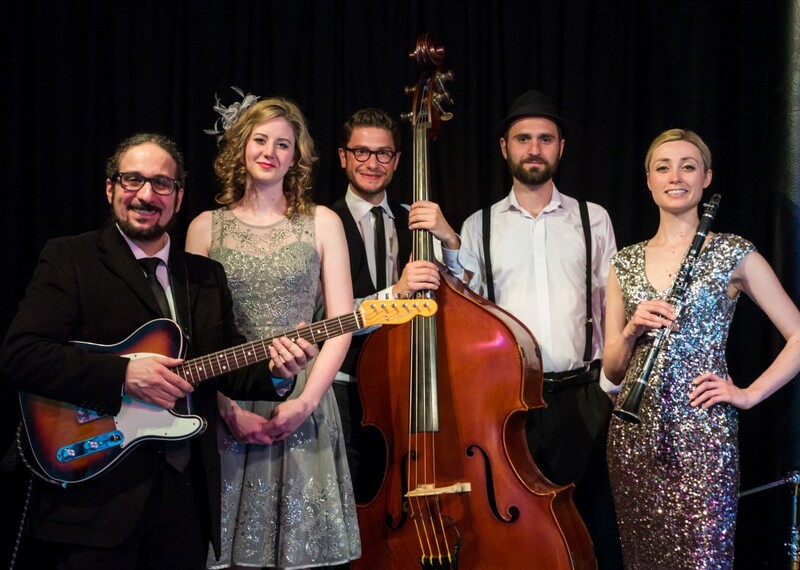 If you're booking Valentina Jazz Band as your wedding entertainment, they are happy to learn your first dance and perform it in their own inimitable style. 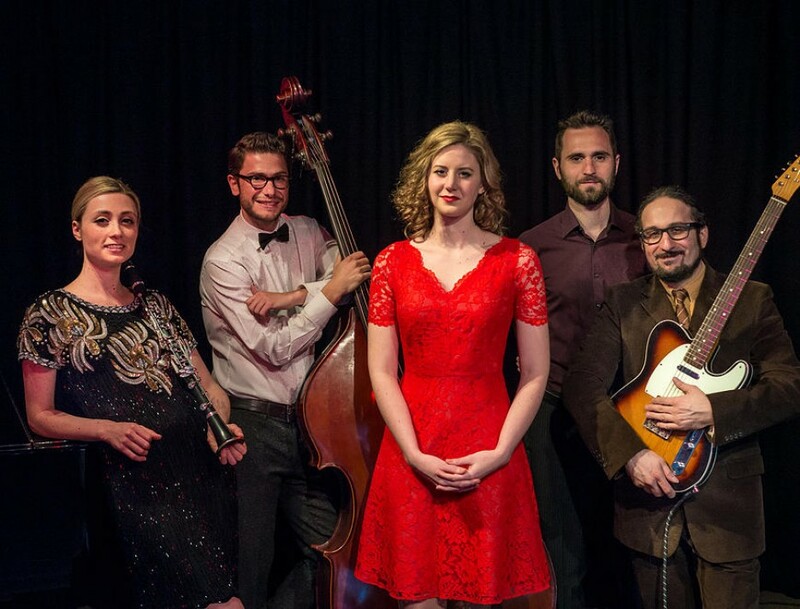 Enhance your occasion with the passion and romance of a performance by Valentina Jazz Band! Prices are inclusive of 2x45 or 3x45 minutes of live performance. Approximately 30 minutes are required for the act to set up and sound check (depending on access to the performance area). "We had Valentina Jazz Band onboard in Portovenere, Italy for a guests birthday party on 17th June 2017. It was there first time onboard a superyacht performing and they were seamless and incredibly professional. They were perfect for our Italian theme and her voice was beautiful. The guests thoroughly enjoyed their performance with energy and great charisma. I cannot recommend them enough, they made an already great night unforgettable for our guests." "We are so glad that we stumbled upon you guys, and that you were part of our wedding. Everyone loved your music, it was exactly what we were looking for. Thank you so much"
"Valentina Jazz Band surpassed all our expectations they are so unique and had everyone on the dance floor. Wished we had booked them for the whole evening."